Available in 3 sizes, 130mm, 170mm and 190mm high. Resin antique bronze award with gold, silver and white detail. 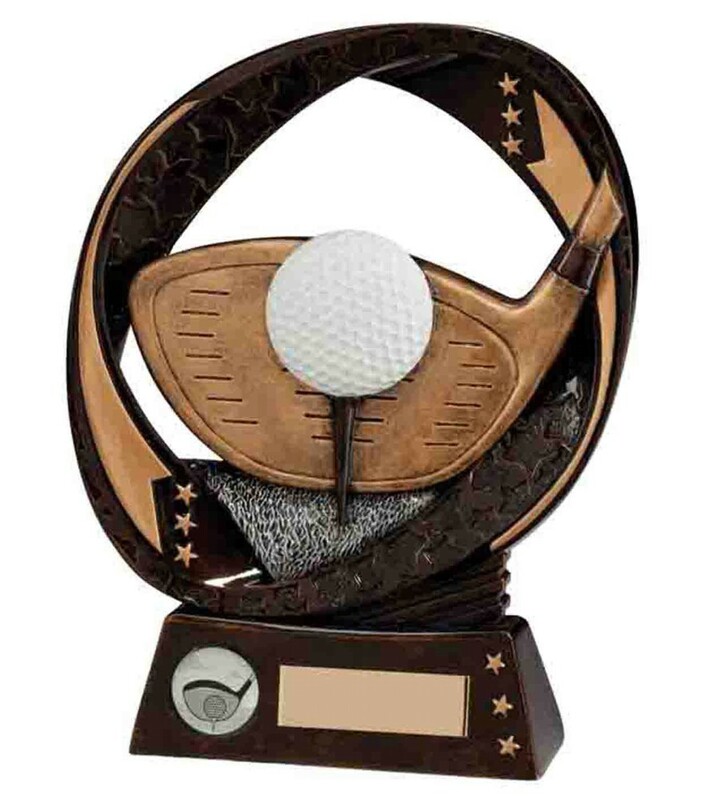 The trophy depicts a golf club, ball and tee.